The new generation in surface coating and protection. 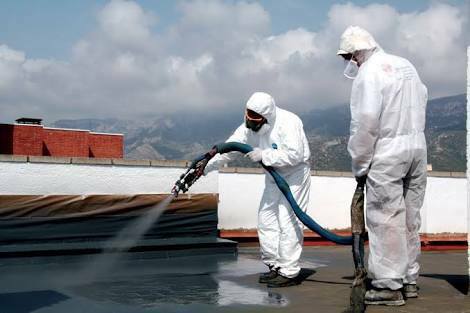 Polyurea application has superior durability and performance compared to epoxy and urethane coatings, but with added flexibility. Fast cure time, resistant to temperatures and moisture make it an ideal solution for coatings on large surface area projects. Polyurea is touch dry and trafficable in under 30 seconds and fully cured in 1 hour. Polyurea will adhere to virtually any substrate (Concrete, metal, wood, etc.) in a wide variety of conditions and environments. Its greatest advantage over traditional systems is the speed in which it can be applied. Our products can easily accommodate complex details leaving a seamless waterproof membrane.